Getting a budget IEM right is no easy task today. There's a ton of ways in which several brands are making their presence felt in this overly crowded segment today. In this, FiiO always known for offering quality at an affordable price point, doesn't disappoint with the FiiO F3. At its current price of Rs. 1569, You get good audio performance, a thoughtful design and overall, a great pair of budget IEMs. Budget IEMs are quite literally flooding the market right now. while flipkart lists more than 3000 brands under headphones, That includes suppliers and duplicates as well. On Amazon, there are 51 brands just under the top brands' section. Quite understandably, this leads to a high level of competition when it comes to pricing, with hundreds of units vying for the top spot in the sub-2000 category. In this crowd, it is admittedly difficult for a product to stand out on anything other than sheer performance. 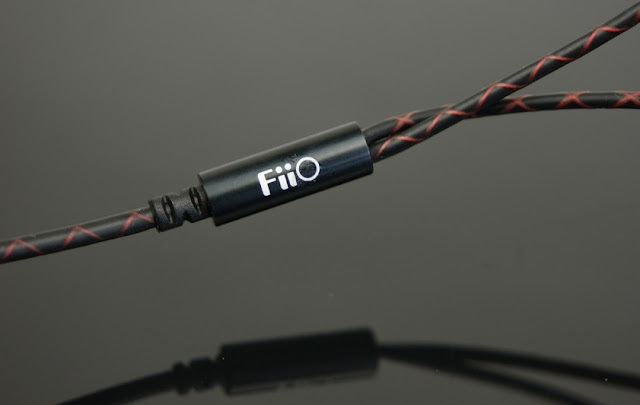 FiiO Products have a reputation of being good performers across serveral price point. 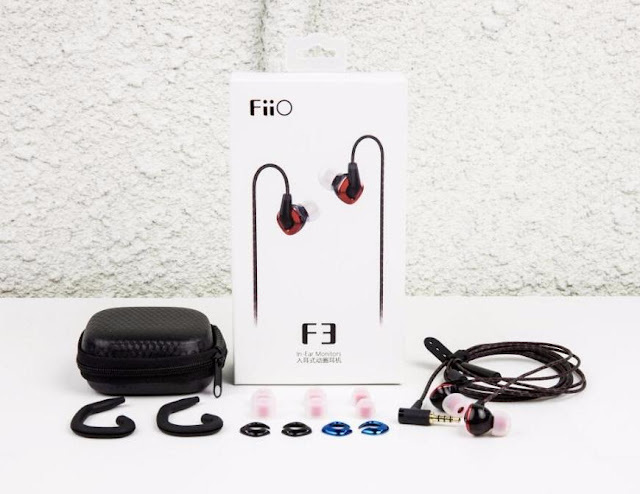 So when you got a chance to test the FiiO F3 IEMs, we didn't immediately put it in the same bargain bin as most of the lot at this price point. Did it fulfil our expectation? The F3 build doesn't surprise anyone out of the box - on its own. it includes a few accessories in the box, and a carry case, that supports its cause when it comes to design and build quality. Plastic forms the main constituent of its structure, with a silicone casing on the coiled cable. It is difficult to judge whether the cable is actually coiled or is designed to give an appearance of the same. The cylindrical control unit features a mic and three prominent buttons that generate audible clicks the listening experience. The carrying case is a nice faux carbon fibre piece for this price, that can fit everything in the Box. The y-split is also a smaller cylindrical piece of plastic that doesn't contribute much to the build. The included silicone ear tips are netter than what you usually get at this price point. We carried out our testing with the default medium tips, however, the changing process is pretty simple as well. The driver housing is translucent, but you"ll have to hold them directly under the light to be able to see beneath the darkened transparent plastic casing. The belt strap to hold the wires in place to prevent it from sliding down to the connector all the time. 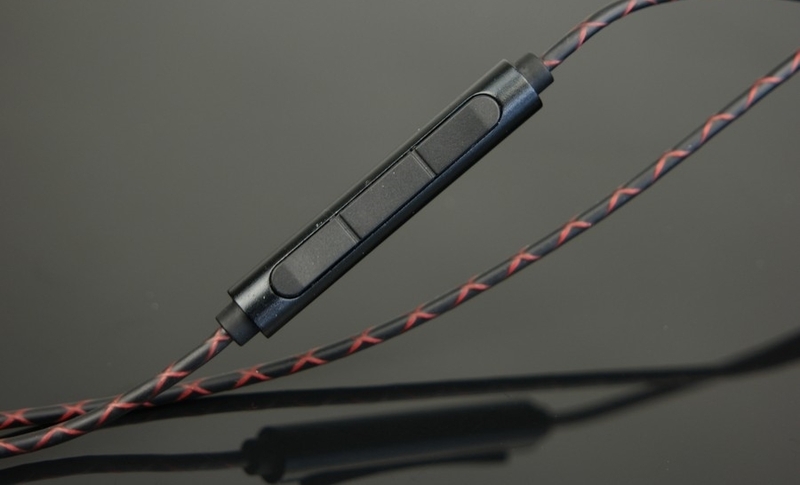 The F3 comes with a carry case, inside which you will find a few plastic faceplate alternate and a flexible ear guide. The interchangeable faceplates comes in red, blue, black. They allow you to customise the look of the individual driver housing. The flexible ear guides are also optional and help you get a better grip when you put the IEMs on your ear in the intended over-ear style. The over-ear style is a welcome change in the price segment. however, if you find it irksome, getting around it is as easy as swapping the earbuds between your ears. As expected from a FiiO headphone, the F3 punches above its weight. The bass is fast and punchy, providing a level of detail and sharpness that is not seen often in its immediate competitors. 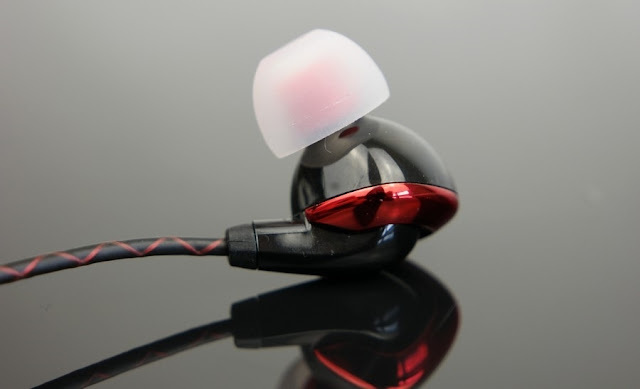 However, don't let that misguide you into believing that these are IEMs for bass-heads, Because they are not. You could say that there's a lean towards the warmer spectrum of sound but not in a distasteful way. pushing the volume levels distorts the bass on tracks like uptown funk by Bruno mars. But listen to it on low volume, and there's something almost surprising about F3's bass performance. It gets around the muddiness that plagues its counterparts and manages to offer you the low-number of the sub-bass and an overall linear boost without ruining the experience with sheer loudness and vibration.